Contacts with suppliers and distributors and others who influence the success of the firm. Market balance: It is essential that different firms in the same business not attempt to compete on exactly the same variables. If they do, competition will invariably degenerate into price—there is nothing else that would differentiate the firms. Thus, for example, in the retail food market, there are low price supermarkets such as Food 4 Less that provide few if any services, intermediate level markets like Ralph’s, and high-end markets such as Vons’ Pavillion that charge high prices and claim to carry superior merchandise and offer exceptional service. Risk: In general, firms that attempt riskier ventures—and their stockholders—expect a higher rate of return. Risks can come in many forms, including immediate loss of profit due to lower sales and long term damage to the brand because of a poor product being released or because of distribution through a channel perceived to carry low quality merchandise. Brand level objectives: Ultimately, brand level profit centers are expected to contribute to the overall maximization of the firm’s profits. However, when a firm holds several different brands, different marketing and distribution plans may be required for each. Several variables come into play in maximizing value. Profits can be maximized in the short run, or an investment can be made into future earnings. Product profit can be measured in several ways. If you sell a computer that cost $950 to make for $1,000, you are making only a 5% gross profit. However, selling a product that cost $5 to make for $10 will result in a much higher percentage profit, but a much lower absolute margin. A decision that is essential at the brand level is positioning. Options here may range from a high quality, premium product to a lower priced value product. Note here that the same answer will not be appropriate for all firms in the same market since this will result in market imbalance—there should be some firms perceiving each strategy, with others being intermediate. Distribution issues come into play heavily in deciding brand level strategy. In order to secure a more exclusive brand label, for example, it is usually necessary to sacrifice volume—it would do no good, for Mercedes-Benz to create a large number of low priced automobiles. Some firms can be very profitable going for quantity where economies of scale come into play and smaller margins on a large number of units add up—e.g., McDonald’s survives on much smaller margins than upscale restaurants, but may make larger profits because of volume. Some firms choose to engage in a niching strategy where they forsake most customers to focus on a small segment where less competition exists (e.g., clothing for very tall people). In order to maintain one’s brand image, it may be essential that retailers and other channel members provide certain services, such as warranty repairs, providing information to customers, and carrying a large assortment of accessories. Since not all retailers are willing to provide these services, insisting on them will likely reduce the intensity of distribution given to the product. Product line objectives: Firms make money on the totality of products and services that they sell, and sometimes, profit can be maximized by settling for small margins on some, making up on others. For example, both manufacturers and retailers currently tend to sell inkjet printers at low prices, hoping to make up by selling high margin replacement cartridges. Here again, it may be important for the manufacturer that the retailer carry as much of the product line as possible. As we have discussed earlier, firms have to make tradeoffs between different considerations such as cost of distribution, intensity vs. exclusivity, and service provided. Some of the services ultimately desired by consumers include bulk-breaking (as previously discussed), spatial convenience (being able to buy milk in the supermarket rather than having to drive out to a farmer to get it), timing of availability (having someone—the retailer and other channel members—plan to have toothpaste available in the store when the consumer needs it), and providing a breadth of assortment (the same store will carry different kinds of food and other merchandise from different suppliers. Segmentation involves identifying groups of consumers who respond relatively similarly to different treatments. In general, we want to find segments that contain people who are as similar as possible to each other while, simultaneously, being as different as possible from members of other segments. Thus, for example, members of what we might term a price sensitive food segment are likely to seek out the lowest priced retailers even if they are not located conveniently, buy larger packages, switch brands depending on what is on sale, and cut coupons. The “fussy” segment, in contrast, may shop either where the best quality is found or at the most convenient location, and may be brand loyal and not cut coupons. Note that not all members of each segment will be completely alike, and there is some tension between precision of description and cutting the segments into too small pieces. The idea, here, then, is for different channels to serve different consumers (e.g., price sensitive individuals are targeted by Food 4 Less while more upscale stores target the price insensitives). Paths to the customer. 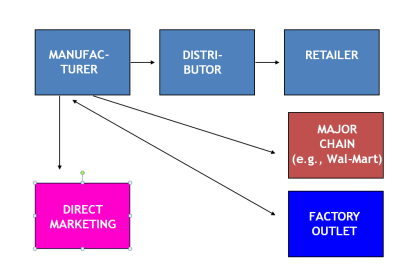 For most products and situations, it is generally more efficient for a manufacturer to go through a distributor rather than selling directly to the customer. This is especially the case when consumers need to have variety and assortment (e.g., consumer would like to buy not just toothpaste but also other personal hygiene products, and even other grocery products at the same place), when products are bought in small volumes or at low value (e.g., a candy bar sells for less than $1.00), or even intermediaries have skills or resources that the manufacturer does not (a sales force, warehousing, and financing). Nevertheless, there are situations when these conditions are not met—most typically in industrial settings. As an extreme case, most airlines are perfectly happy only being able to buy aircraft and accessories from Boeing and would prefer not to go through a retailer—particularly since the planes are often highly customized. 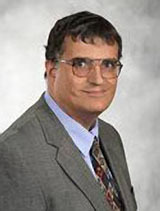 More in the "gray" area, it may or may not be appropriate to sell microcomputers directly to consumers rather than going through a distributor—the costs of providing those costs may be roughly comparable to the margin that a distributor would take. Potential channel structures. Channel structures can assume a variety of forms. In the extreme case of Boeing aircraft or commercial satellites, the product is made by the manufacturer and sent directly to the customer’s preferred delivery site. The manufacturer, may, however, involve a broker or agent who handles negotiations but does not take physical possession of the property. When deals take on a smaller magnitude, however, it may be appropriate to involve retailer--but no other intermediary. For example, automobiles, small planes, and yachts are frequently sold by the manufacturer to a dealer who then sends directly to the customer. It does not make sense to deliver these bulky products to a wholesaler only to move them again. On the other hand, it would not make sense for a California customer to fly to Detroit, buy a car there, and then drive it home. As the need for variety increases, a wholesaler may then be introduced. 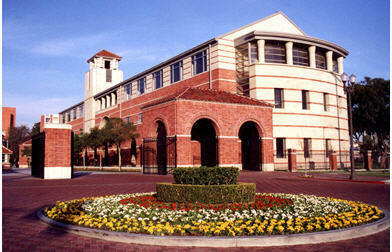 For example, an office supply store needs to sell more merchandise than any one manufacturer can produce. Therefore, a wholesaler will buy a very large quantity of binders, file folders, staplers, reams of paper, glue sticks, and similar products and sell this in smaller quantities—say 200 staplers at a time—to the office supply store, which, in turn, may go to another wholesaler who has acquired telephones, typewriters, and photocopiers. Note that more than one wholesaler level may be involved—a local wholesaler serving the Inland Empire may buy from each of the two wholesalers listed above and then sell all, or most, of the products needed by local office supply stores. Finally, even in longer channels, agents or brokers may be involved. This, in particular, will happen when the owner of a small, entrepreneurial company has more experience with technology than with businesses negotiations. Here, the manufacturer can be freed, in return for paying the agent, from such tasks, allowing him or her to focus on what he or she does well. Criteria in selecting channel members. Typically, the most important consideration whether to include a potential channel member is the cost at which he or she can perform the required functions at the needed level of service. For example, it will be much less expensive for a specialty foods manufacturer to have a wholesaler get its products to the retailer. On the other hand, it would not be cost effective for Procter & Gamble and Wal-Mart to involve a third party to move their merchandise—Wal-Mart has been able to develop, based on its information systems and huge demand volumes, a more efficient distribution system. Note the important caveat that cost alone is not the only consideration—premium furniture must arrive in the store on time in perfect condition, so paying more for a more dependable distributor would be indicated. Further, channels for perishable products are often inefficiently short, but the additional cost is needed in order to ensure that the merchandise moves quickly. Note also that image is important—Wal-Mart could very efficiently carry Rolex watches, but this would destroy value from the brand. "Piggy-backing." A special opportunity to gain distribution that a manufacturer would otherwise lack involves "piggy-backing." Here, a manufacturer enlists another manufacturer that already has a channel to a desired customer base, to pick up products into an existing channel. For example, a manufacturer of rhinoserous and hippopotamus shampoo might be able to reach zoos by approaching a manufacturer of crocodile teeth cleaning supplies that already reaches this target. In the case of reciprocal piggy-backing, the shampoo manufacturer might then, in turn, bring the teeth cleaning supplies through its existing channel to exotic animal veterinarians. Parallel Distribution. Most manufacturers find it useful to go through at least one wholesaler in order to reach the retailer, and it is simply not efficient for Colgate to sell directly to pathetic little "mom and pop" neighborhood stores. However, large retail chains such as K-Mart and Ralph’s buy toothpaste and other Colgate products in such large volumes that it may be efficient to sell directly to those chains. Thus, we have a "parallel" distribution network whereby some retailers buy through a distributor and others do not. Note that we may also be tempted to add a direct channel—e.g., many clothing manufacturers have factory outlet stores. However, note that the full service retailers will likely object to being "undercut" in this manner and may decide to drop or give less emphasis to the brand. It may be possible to minimize this contract by precautions such as (1) having outlet stores located in vacation areas not within easy access of most people, (2) presenting the merchandise as being slightly irregular, and/or (3) emphasizing discontinued brands and merchandise not sold in regular stores. Evaluating Channel Performance. The performance of channel members should be periodically monitored—a channel member may have looked attractive earlier but may not, in practice be able to live up to promises. (This can be either because of complacency or because the channel member simply did not realize the skills and resources needed to perform to standards). Thus, performance level (service outputs) and costs should be evaluated. Further, changes in technology or in the market place may make it worthwhile to shift certain functions to another channel member (e.g., a distributor has expanded its coverage into another region or may have gained or lost access to certain retail chains). Finally, the extent to which compensation is awarded in proportion to performance should be reassessed—e.g., a distributor that ends up holding inventory longer or taking on more returns may need additional compensation. Money can be made at each stage in the chain and it may be tempting for firms to try to get into all aspects. For example, Henry Ford wanted to make all the components for his own cars, so Ford tried to run its own rubber plantation with limited success. The temptation to try to expand vertically can be especially strong when an industry faces limited growth and thus presents limited opportunities for reinvestment into traditional operations (e.g., if the auto industry is not growing as much as desired, one way to reinvest profits, rather than having to pay them back to stockholders who would then have to pay taxes on the dividends, might be to buy steel mills. The problems, however, is that the management is not used to running such businesses and that managerial time will be spread among more areas. Business structures. A business can be squarely focused in just one area—e.g., Kentucky Friend Chicken is only in the fast food business and prides itself on this. On the other hand, certain businesses are part of an assortment of businesses that all have common, or at least overlapping, membership. Sometimes, these businesses can be related in some way—for example, Pepsico used to own several restaurant fast food chains, and Microsoft, in addition to being in the software business, used to own Expedia, the online travel service. Here, expertise and brand equity might be transferred from businesses to business. In other situations, however, these "empires" may consist of unrelated businesses that were bought not so much because they "fit" into management expertise, but rather because they were for sale when the conglomerate had money to invest. With the tobacco industry currently being relatively profitable but having a questionable future, a tobacco firm might invest in a software maker. Generally, such investments are risky because of problems with management oversight. In Japan, many firms are part of a keiretsu, or a conglomerate that ties together businesses that can aid each other. For example, a keiretsu might contain an auto division that buys from a steel division. Both of these might then buy from a iron mining division, which in turns buys from a chemical division that also sells to an agricultural division. 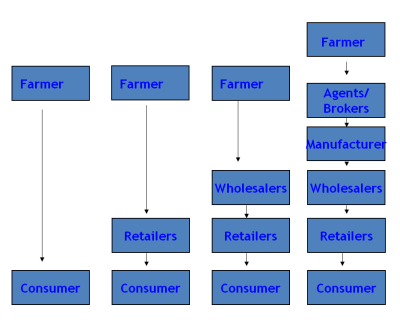 The agricultural division then sells to the restaurant division, and an electronics division sells to all others, including the auto division. Since the steel division may not have opportunities for reinvestment, it puts its profits in a bank in the center, which in turns lends it out to the electronics division that is experiencing rapid growth. This practice insulates the businesses to some extent against the business cycle, guaranteeing an outlet for at least some product in bad times, but this structure has caused problems in Japan as it has failed to "root out" inefficient keiretsu members which have not had to "shape up" to the rigors of the market. Motivations for outsourcing. While firms, as discussed above, often have certain motivations for trying to "gobble" up as many business opportunities as possible, there are also reasons for "outsourcing" or contracting out certain functions to others. Auto makers, for example, have often found it profitable to buy a number of components from non-union manufacturers. Often small vendors, run by entrepreneurs, are better motivated to perform certain services—e.g., insurance agents can have an incentive to build up and service a client base more effectively than an internal staff could. It is also possible for outsiders to specialize—chemical firms, for example, may be better able to research and develop paints than auto manufacturers. Smaller independent firms may also operate more leanly, facing market competition better than large, centralized firms. A firm specializing in just making nuts and bolts may have greater economies of scale than Rolls Royce, which makes only a limited number of cars. Channel Power. Some channel members need others more than others need them. For example, Wal-Mart has a lot more power, given its large volume purchases, than many of its suppliers. There are several sources of power. Reward power involves a channel member being able to positively reinforce another’s performance—e.g., Coca Cola may be able to give a price break or pay a fee for additional shelf space. A retailer that meets a certain goal—e.g., the sale of 50,000 cases per month—may receive a bonus. In contrast, coercive power involves the threat of a punishment. A large retailer, for example, may tell a small manufacturer that no further orders will be forthcoming unless a price discount is offered. Expert power includes knowledge. Wal-Mart, for example, because of its heavy investment in information technology, can persuasively argue about likely sales volumes at different price levels. "Legitimate" power involves government or other regulations—e.g., auto dealers have a great deal of power over auto makers because only they are allowed to sell to end customers in the continental U.S. under most circumstances. Finally, referent power involves the desire of the other side to be associated—most manufacturers of upscale merchandise are highly motivated to ensure their availability at Nordstrom’s. Channel conflict. We have seen throughout the term that conflict exists between channel members. For example, Coca Cola would like to increase its sales by offering a discount on its cans. However, the retailer knows that overall soda sales will not go up much when Coke is put on sale—consumers who bought other brands will just switch, for the most part. Therefore, the retailer might like to "pocket" any discount that Coke offers. Similarly, Bass might like to increase its sales by selling to Costco, but its full service retailers will object to this competition. A number of approaches to resolution are available, but none are perfect. Sharing of information may help build trust, but this can be expensive, cumbersome, and may result in this information being available to competitors. The two sides might seek outside mediation, with a supposedly neutral party suggesting a fair solution, or the two sides may try to compromise on their own. One side may accommodate the other, but may not be motivated to continue to do so in the future, or the other may try to coerce its way through threats of punishment. We have seen distribution intensity issues throughout the course, so here we will mostly consider overall strategic issues related to these decisions. Distribution opportunities. First of all, we must consider what is realistically available to each firm. A small manufacturer of potato chips would like to be available in grocery stores nationally, but this may not be realistic. We need to consider, then, both who will be willing to carry our products and whom we would actually like to carry them. In general, for convenience products, intense distribution is desirable, but only brands that have a certain amount of power—e.g., an established brand name—can hope to gain national intense distribution. Note that for convenience goods, intense distribution is less likely to harm the brand image—it is not a problem, for example, for Haagen Dazs to be available in a convenience store along with bargain brands—it is expected that people will not travel much for these products, so they should be available anywhere the consumer demands them. However, in the category of shopping goods, having Rolex watches sold in discount stores would be undesirable—here, consumers do travel, and goods are evaluated by customers to some extent based on the surrounding merchandise. (Please see the chart in the PowerPoint notes). The product life cycle. In general, a brand can expect lesser distribution in its early stages—fewer retailers are motivated to carry it. Similarly, when a product category is new, it will be available in fewer stores—e.g., in the early days, computer disks were available only in specialty stores, but now they can be found in supermarkets and convenience stores as well. Certain products that are not well established may have to get their start on "infomercials," only slowly getting entry into other types out outlets. (Please see PowerPoint chart). Full service retailers tend dislike intensive distribution. Low service channel members can "free ride" on full service sellers. Manufacturers may be tempted toward intensive distribution—appropriate only for some; may be profitable in the short run. Market balance suggests a need for diversity in product categories where intensive distribution is appropriate. Service requirements differ by product category. Termination of brands. A retailer may terminate a brand when carrying it under existing terms no longer seems attractive. This can be done overtly—the channel member explicitly announces that the brand will no longer be carried—or more indirectly in the sense that inventory holdings are reduced and customers are recommended substitute brand and/or products. Maintaining channel member performance. One way to motivate channel members to carry one’s product is through a pull strategy. This involves establishing consumer demand, usually through advertising and/or a strong brand image. For example, most pharmacies need to carry the brand name Bayer aspirin to satisfy their customers. Note, however, that Bayer has invested a great deal of money in this. Alternatively, a firm may offer contract provisions making it attractive to be carried—e.g., prices may be guaranteed for some period of time. Geographical or target market exclusivity may also be offered—a retailer who knows that no one else in the area carries the Vengeful Visions gun line will be more motivated to aggressively push the brand. Stopping short of exclusivity, a firm may attempt to stop supplying channels that sell below a certain retail price "maintenance" level—e.g., Levi’s may decide that they will sell to anyone who wants to carry their jeans so long at such retailers do not sell them below a certain price. Then, retailers can be assured that a certain margin can be achieved, and can invest in services. "Simulating" exclusivity. When truly exclusive distribution proves undesirable, intra-brand competition can be reduced by offering slightly different, and thus, non-comparable versions to different retailers. Making exclusivity attractive. Manufacturers can motivate channel members to emphasize their brands by creating mutual dependence. For example, Sony might agree to make a new line of high definition televisions for sale exclusively at Best Buy if Best Buy in return will invest heavily in repair facilities for this new product. If one retailer forsakes other brands in return for a large discount on high quantity orders, both sides may also save money through economies of scale. Finally, the retailer and manufacturer may develop a certain joint brand identity. For example, the high end department stores need to carry high end cosmetics to be credible, and in order to maintain their credibility, high end cosmetics must be available in high end stores.